With Next Level hoodies you can easily create your own unique style for the cooler months of the year. Affordable Next Level hoodies stand out from other standard hoodies by being less heavy and bulky. 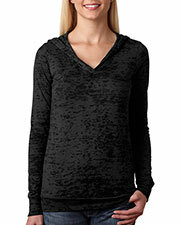 By being hooded long sleeve shirts instead of sweatshirts, you have a lot more options for creating a trendy outfit. 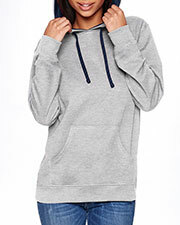 Inexpensive Next Level hoodies come in styles suitable for both men and women in a wide range of sizes. 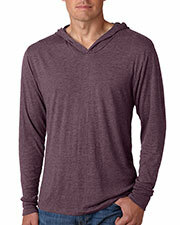 These comfortable hoodies with simple, straight lines provide a twist on the classic long sleeve t-shirt. These great, affordable, and versatile hooded shirts from Next Level are available through Gotapparel.com at conveniently low, wholesale prices. These lightweight hooded long sleeve t-shirts are great for wearing during any of the cool weather seasons from fall through early spring. These hooded shirts are very easy to layer with fashion tees, sweatshirts, and outerwear to create trendy layered outfits that are practical and look great. These Next Level hoodies would, also, make great gifts for friends and family. 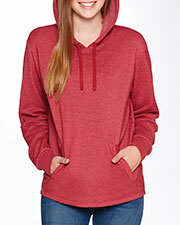 Take your wardrobe to the Next Level with hooded shirts that are cute, inexpensive, and comfortable. Find other trendy options for your closet by browsing our selection of affordable t-shirts, sweatshirts, and headwear.